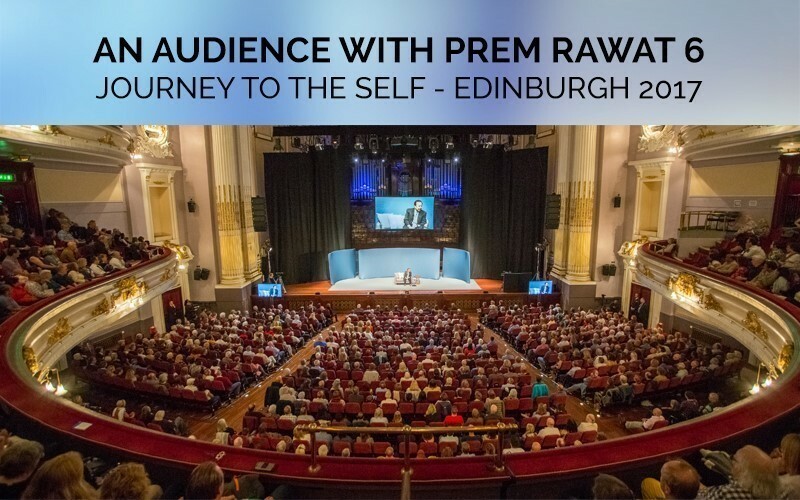 Journey to the Self - Prem Rawat, Edinburgh, Scotland 2017 The sixth in our ‘An Audience with Prem Rawat' series of eight audio streams from Prem’s sell-out World Tour. An Audience with Prem Rawat is a brand-new series of audio podcasts from the 2017 World Tour. Listen to Prem Rawat offer his unique perspective on the pathway to peace and how we can all reconnect with our essential humanity, in the face of seismic global change. In conversation with a new host at each event, Prem explores different themes of self-discovery, as well as answering burning questions from the audience. In a way that only Prem Rawat can do, you will see that the answers are never far away.